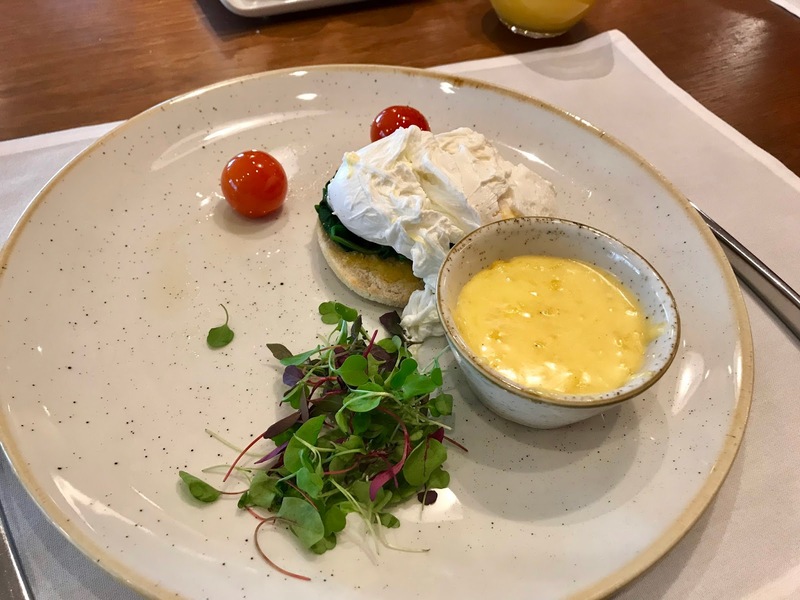 A Look At The Heathrow T3 First Class Lounges - Food Edition! 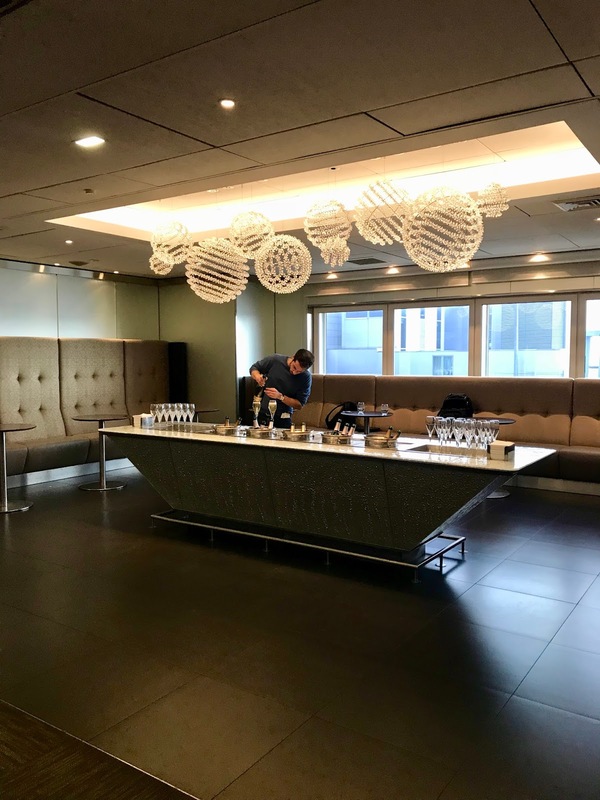 Before our recent trip to France, myself and my friend made sure to get to the airport very early so that we could try out what all the OneWorld first class lounges had to offer in terms of food. 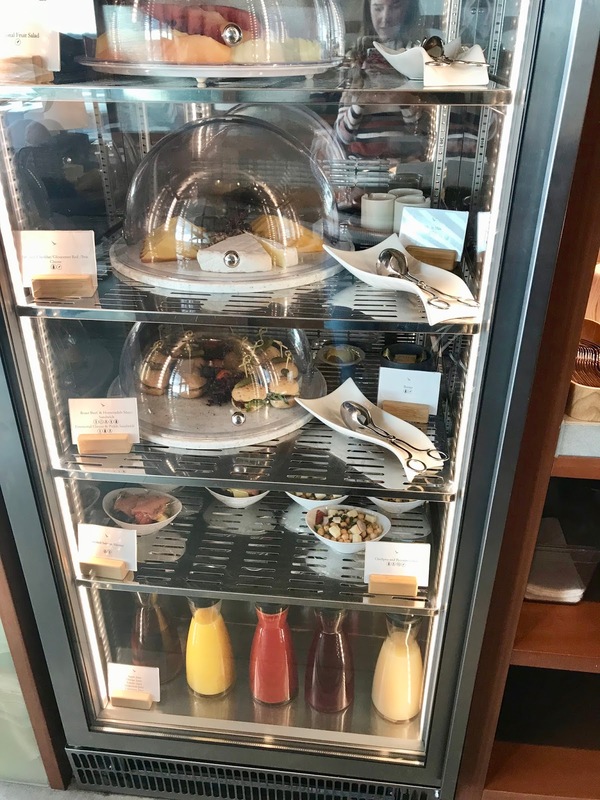 Due to the time that we were getting there, we made it our aim to have a full breakfast, lunch and dessert before actually leaving for the plane. Because why not?! We started off in the Cathay Pacific lounge. As you can see from the above photo, it's a lovely looking lounge and probably the best looking of them all. The views are of, well, an airport (but what else did you expect?!) with big comfortable chairs that face out into it. It's the smallest lounge of the three we tried but with by far the nicest decor. We headed off into the restaurant area of it for our first lounge meal - breakfast! As you can see, the food looked stunning. At this lounge, you order off a menu, and I went with the eggs Benedict. It was absolutely delicious and the juice I had with it was tasty too. 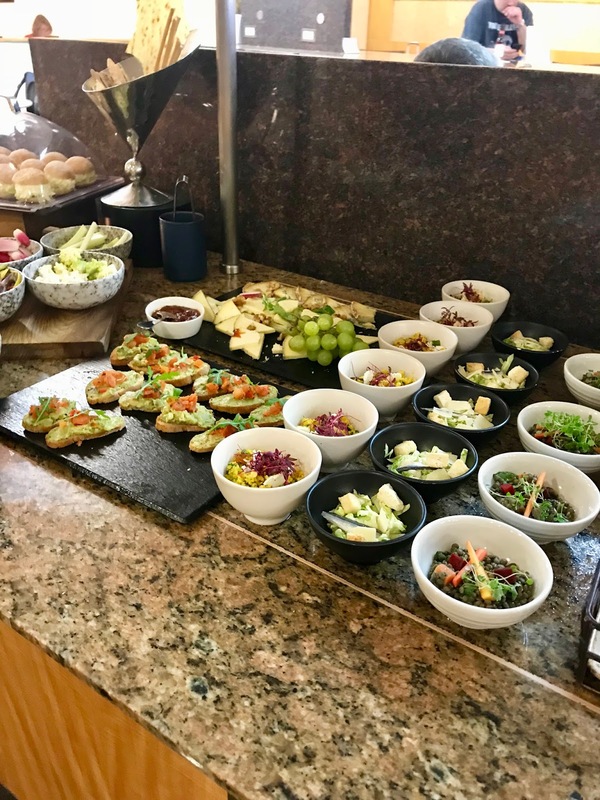 However the portions were very small which normally would bother me - however in this case, I had two more lounges to eat at so it wasn't too big a problem! More food offerings were to be had! 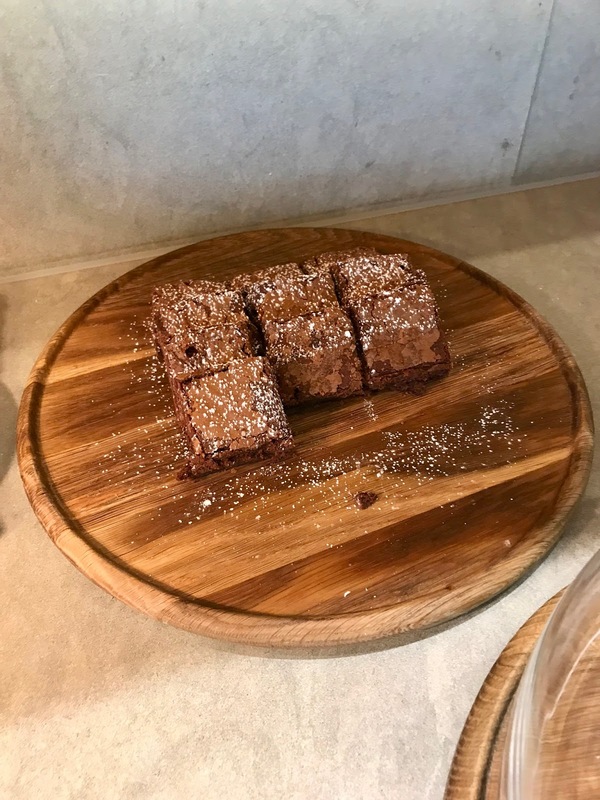 I grabbed one of these brownies as a quick after breakfast snack, and it was really tasty. My friend doubled his up with prawns, as they were right in front of the brownies so he thought it seemed sensible. I didn't, but then I don't think prawns are ever a sensible choice. 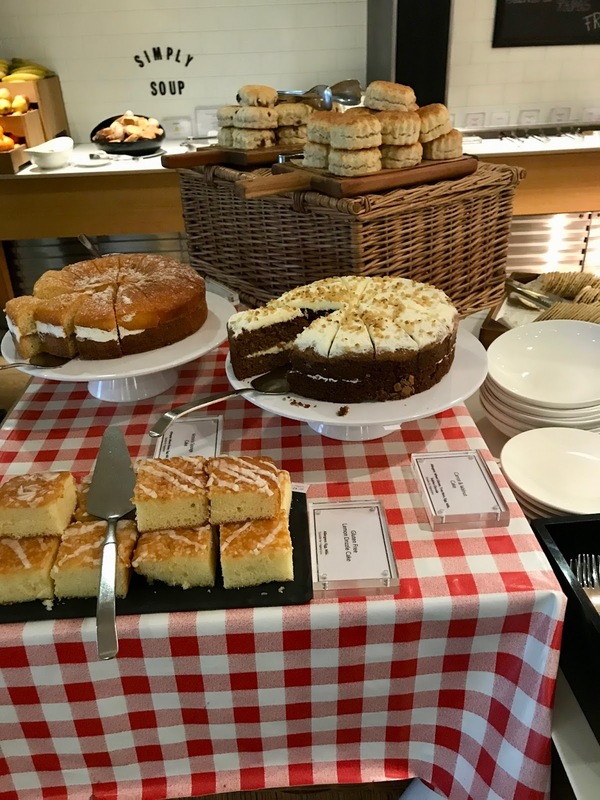 There were plenty of other choices of cakes and other tasty looking things, but we didn't want to get too full when we had two more lounges to explore. Next up was the British Airways lounge. This one was by far the biggest and the most spread out, and begins by letting you walk right into this wall of champagne there for you to pour out yourself. Which I did, naturally. This lounge is my overall favourite as it's comfy and spread out and there's a good variety of magazines to read, games to play, and of course, food to eat. For lunch, we decided to go for BA's buffet offerings. Which, as always in a buffet, means I ended up with a truly random selection of goods. I opted for the soup, some salmon and cream cheese sandwiches (by the way, one of the best sandwiches I've had in a very long time! ), some quinoa salad, and a little bit of curry. Yeah, I told you, I'm not good at buffets. My friend had an equally odd combination and topped it off with some lemon cake which he assured me was delicious. Finally, we moved on to the American Airlines lounge. This lounge is the one that I had the lowest expectations of, and to be fair, it was the most cramped feeling and also the least comfortable. It just didn't feel as luxury as the others. However, where it really won me over was the food, and I found myself wishing I'd saved more space! 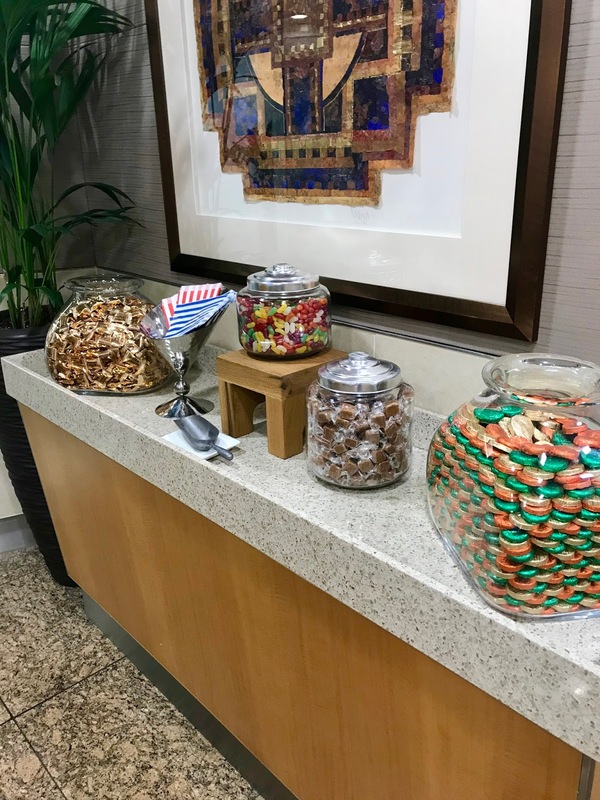 When you first enter you are greeted by a variety of chocolates and jelly beans and other pocket sweets - complete with a little baggie so you can fill your pick and mix up and take it on the plane with you if you want. Which we did, obviously. It also contained some amazing lemonade, which is probably the nicest stuff I've drank in a very long time. However aside from the sweeties, their regular food is just as good. Their food is all very small, but very delicious. Unfortunately I just didn't have enough room for the mini Mac and cheese though I'd have loved to have given it a go, but I did munch my way through some of that little avocado and tomato goodness you can see on the left and a lovely chocolate and raspberry dessert. 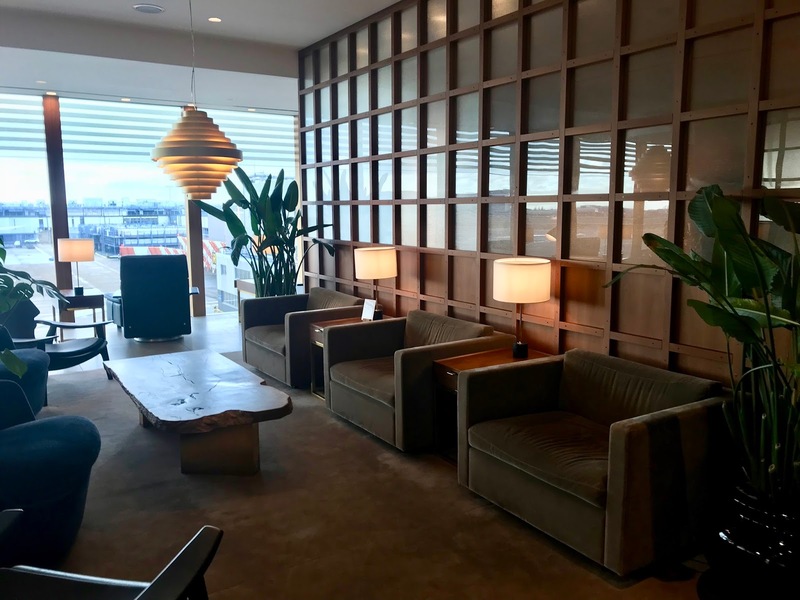 I really wished we'd had more time for this lounge because the food was lovely, and oddly I'd say the AA lounge was the one that considered presentation the most when setting up their little dishes. So there you have it - how to eat three meals in the lounges and live to tell the tale! So in conclusion, if a nice relaxing place is your option, Cathay Pacific is probably the one for you. If you're prioritising good food, I'd suggest American Airlines. And finally, for the all round experience, British Airways is the one to go for.